Ruth Ware is one of my favorite psychological thriller writers, period. There's something about her writing style that just works for me: her books are always fast-paced and taut, drawing the reader into a story that sinks its teeth into you until the very last page. THE LYING GAME is no exception. Though quite different from Ware's latest (THE WOMAN IN CABIN 10), THE LYING GAME has all the tension and menace that should make Ware a staple of any crime reader's personal library. THE LYING GAME reads like a grown-up version of the hit TV show Pretty Little Liars (a personal favorite of mine). Readers meet four friends: Isa (our narrator), Kate, Fatima, and Thea. Years ago, the girls all attended the same boarding school, Salten, and became best friends—more aptly put, they became an exclusive clique. But it wasn't just common interests that bound these friends together. They played a game they called "The Lying Game", a game of (you guessed it) lying to others and earning points for how convincingly you lied. But these girls learned a lesson: lies are not without consequence. Years later, in the present day, a body is found buried in marshland near the boarding school... and the biggest lie the four friends told threatens to come to light. Addictive, absorbing, and laced with menace, THE LYING GAME is a summer must-read for psychological thriller fans. It's not often that I compare a book to a TV show, but Pretty Little Liars really is the most fitting comparison for THE LYING GAME. Four friends with secrets to hide from the outside world, complete with vague threats from unknown sources... it's all there. But Ware does what PLL has veered away from—she makes her story realistic. 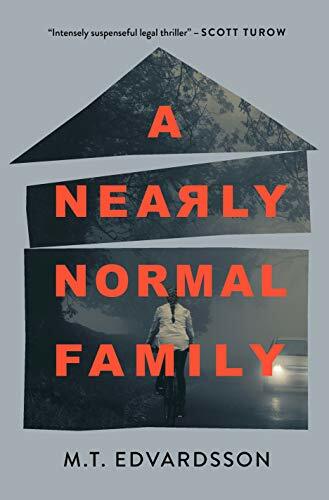 Don't get me wrong, I love the over-the-top drama of Pretty Little Liars, but I also loved that Ware has crafted a story that doesn't need all the bells and whistles to be unnerving. This story places four ordinary women - mothers, professionals, wives, and friends - in the shadow of a years-old secret that they've all tried to escape—one which is finally catching up to them. Granted, not all of their reactions are completely logical, but that's part of the beauty of Ware's premise: these women are now having to answer for events they set in motion when they were young teenagers. How do they look back on the choices of their past? And how will they respond to the fallout, now that they have a bit more life experience and a much more thorough understanding of the consequences of their lies? I was completely absorbed as I watched them grapple with their past mistakes. I also love that Ware has crafted a story with so many distinct female characters in THE LYING GAME. This group of 4 couldn't be more different from one another: there's Isa, the lawyer and new mother who is currently on maternity leave; Fatima, a physician and practicing Muslim, whose faith both defines her and comes as a shock to her childhood friends; Thea, a career woman who hides evidence of self-harm; and Kate, who can't break away from the specter of her renowned artist father, and lives in his shadow in his old home. These four women are bound together by one terrible secret—a secret which it appears that someone else knows about, someone with very dark motives who wants to bring that secret to light. The diversity of this group of women made for an all the more engaging read: we watch each woman deal with these threats in her own way, processing what it would mean for her unique situation if the secret were to be revealed to the world. One important note for crime readers: this book is a lighter suspense read in many ways. The story is laced with menace throughout, but it's not until the last 60 or so pages that any real action takes place. This book is not very violent, and it's not as chilling or alarming as THE WOMAN IN CABIN 10. I didn't mind this one bit—in fact, I loved that Ware manages to do so much with a plot that is really focused on memories and the past. Ware weaves a mystery through an exploration of the four women's pasts: the choices they made, and the fallout from those choices. As the story develops, the tension slowly but surely builds, culminating in an explosive finale that had me absolutely glued to the pages. But if you're looking for action or all-out suspense throughout, you might find this story lacking. I highly recommend this book for readers looking to be swept up in a fast-paced, addictive story of gentler suspense that won't scare you too much, but will completely hold your attention from the first page to the last. THE LYING GAME is undeniably a diversion from the Agatha Christie-inspired plots of IN A DARK, DARK WOOD and THE WOMAN IN CABIN 10. Where both IADDW and TWIC10 were built around the premise of a "locked room mystery," which readers will automatically associate with Christie's AND THEN THERE WERE NONE, THE LYING GAME is a different sort of crime novel entirely. There is no present crime to be investigated, and no group of suspects isolated from the rest of the world; rather, THE LYING GAME delves into a crime committed in the past, and brings readers into the heart of a group of women haunted by its shadow. THE LYING GAME is tense, addictive, and not to be missed. DO buy this book if: you love Pretty Little Liars, and/or you want to read a psychological thriller that isn't too violent, but that will sweep you up in a fast-paced story of hidden secrets and lies between friends. DON'T buy this book if: you want a thriller that is very dark, or that delves deep into the minds of killers and criminals. This story won't deliver that for you. I’ll have much more to come on THE LYING GAME as we get closer to publication! You can find all the details for this book below. Find THE LYING GAME on Amazon.